We carry a full line of mice bait, mice traps, mouse bait stations, mouse inspection tools, animal repellents and mouse exclusion materials. One advantage of trapping mice is that it is safer than using rodent baits around children and pets. There is also immediate results with trapping and avoidance of a possible dead rodent odor caused by the use of rodenticides.We carry snap traps, glue traps and multiple mice traps. The disadvantage of trapping is the labor involved. Trapping requires more work than simply placing out bait. In both cases, however it is important to inspect, make sure the surrounding areas are clean and exlude rodent entry points. For those that want humane traps, we carry the Victor Tin Cat, Tip Top Trap, or Little Pete. These traps enable the mouse to go in and get trapped, without killing them . Wearing gloves, dispose of mice outside. If you have closed off all entry points, you don't have to worry about it re-entering the structure. It may be difficult to close off all entry points, however, so dispose the live mouse far away from the structure. The mouse snap traps are considered by many to be a humane way to kill mice, since the kill is very quick without suffering. Glue Boards are the least humane way to kill mice. The key to success when trapping is being aggressive and placing several mouse traps where mice have high activity. The greatest mistake in trapping mice, is an underestimation of the mice population. You can never have enough traps. To lure a mouse to a mouse trap, use an attractant such as Provoke Mouse Attractant by placing it on the trap. 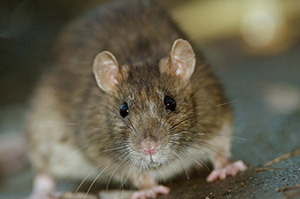 If the mouse or rodent population is so large, that the labor of placing traps and time and cost involved can not solve the mouse problem, use rodent baits. Using rodent baits instead of trapping is an easier solution for some people. Placing out mice bait involves less work, and can be cheaper, depending on the population. For above ground bait placement, use rodent bait stations. Place mouse bait in tamper resistant mouse bait stations throughout the mice infested area, spacing 8- 12 feet apart. Mice continue their normal activity until the bait takes affect, so it is not possible to determine where it will die. Bait is like food to mice so they seek it. It is very important to inspect mouse activity before beginning any mouse control program. Look for rub marks, droppings, foot prints, ect. 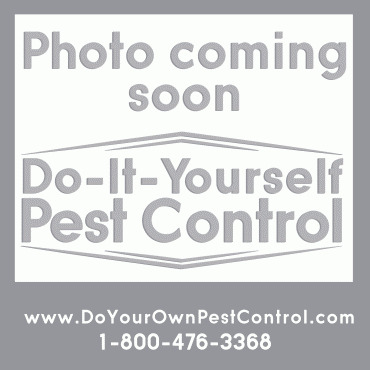 Click on Rodent Inspection for or more information. We carry UV black light and non-toxic tracking powder for easy inspection. Another exlclusion tool is a foam that seals in an resists the sunlight breaking it down. PUR Black Foam Gun is such a product.PUR Black Foam will expand and bond on surfaces to seal voids, cracks and crevices where rodents, bats, birds, squirrels or insects may enter structures. It wil also seal and stop the passage of air, gases, water, dust fibers, sound and odors. It is a polyurethane and moisture curing foam. The house mouse is the most common mice that invade homes in the USA. Occasionally, the deer mouse, white-footed mouse, harvest mouse and pocket mice will invade structures that are in rural or wooded areas. Originally from central Asia, it was transported by ships to the USA by early trade merchants. The House Mouse is extremely adaptable and capable of survival in many environments. This mouse is small, with a slender body. It weighs between 1/2 oz to 1 oz. It has a pointed snout with large ears. The tail is uniformly dark with light brown or gray fur. The fur is smooth. Their droppings are small and rod shaped. Mice prefer cereal grains and are omnivorous. They can survive without free water, gathering their water from foods. Mice are nibblers and are inquisitive by nature. They can swim and are excellent climbers. They breed all year long, having about 8 litters per year with 4-7 young per litter. Their life span is about a year. The urine in mice has a protein in it that can trigger serious cases of asthma and allergies rhinitis. The mice urinate frequently along their paths covering many areas. The Hanta Virus carried by the Deer Mouse primarily has been a concern in the southwestern states.